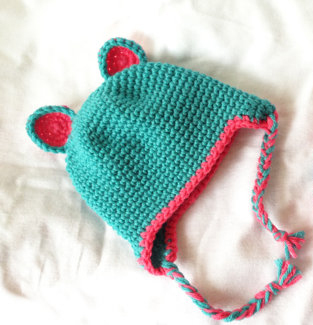 Today’s free pattern is a Baby Bear Hat with Ear Flaps. 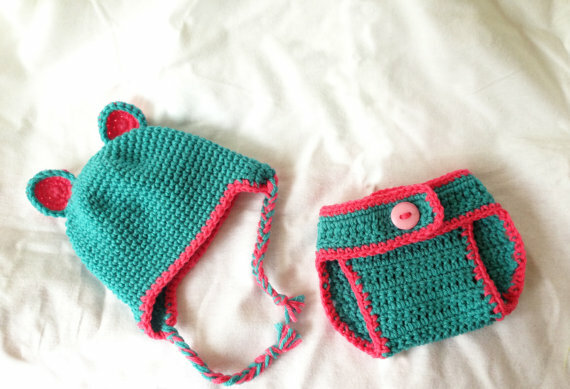 This hat goes quite nicely with the adjustable diaper cover found here (see pic at the end of this post of both items together). Feel free to contact me with any questions. 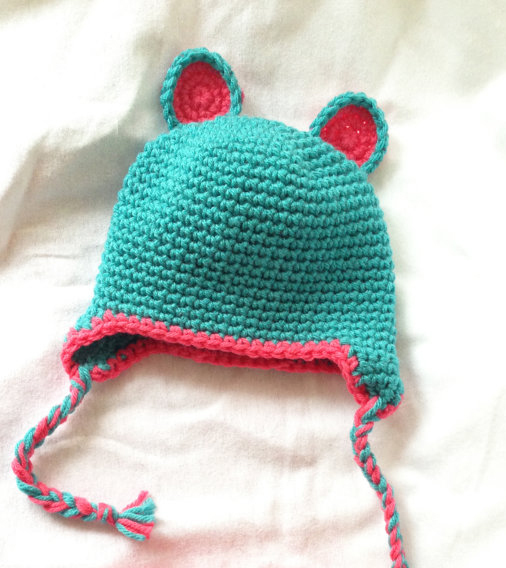 The baby bear hat is for the beginner/intermediate crocheter. This will comfortably fit a 0-6 month old baby. You will be using your stitch marker (or safety pin) in the first round (the magic ring round). Place it in the first sc and move it up after completing each round. Continue this until the end. Start with a magic ring. Ch1 (place stitch marker). 6sc in ring. Join. To make the circumference of the hat bigger (for older babies) continue increasing stitches after row 7. For example: Rd8 would be (1sc in next 7sts, 2sc in next). Continue this until the hat reaches the desired circumference. With contrasting color, join yarn with slip stitch to any st in last round along brim of hat. Ch1. Sc around. Jin with slip stitch to first st. Fasten off. Weave in ends. Start with a magic ring. Ch1. 6sc in ring. Join. Rd2: (1sc in next 2t, 2sc in next st) around (18sc) Switch to contrasting color. Stitch ears to the top of the hat by eyeballing placement. It may help to pin the ears in place before attaching. Cut 12 lengths of yarn (6 in main color and 6 in contrasting color) 20” long. Braid yarn. Tie a knot at the bottom and trim ends evenly. I hope you enjoyed this free tutorial. Come back every Friday for a new one!